September 11, 2011, marks the tenth anniversary of the terrorist attacks that claimed the lives of nearly 3,000 innocent people — at the World Trade Center; at Shanksville, Pa.; and at the Pentagon — and affected the lives of countless others across our great country and beyond. In all, 90 countries lost citizens, and people the world over would condemn these acts of terrorism. This tragic event altered our view of the world and sparked a global effort to combat terrorism and the conditions that give rise to extremism. We are proud of the international efforts that have led to the capture or killing of many of the terrorist leaders, but our success has not come without significant cost. As we reflect on the horrific day that marked the beginning of our struggle to better secure the world from these threats, we honor the tremendous selfless service that today still distinguishes American Soldiers, Sailors, Airmen, Marines, and Coast Guardsmen, comprising the most dedicated, professional and powerful military force in the world. We also recognize that the need for sacrifice is not over. We sincerely thank you and your families for what you have done for your country to date, and thank you in advance for bravely facing our future challenges. Please take a moment this day to reflect on the tragic losses of September 11, 2001, as well as the losses and wounds that we have suffered in our campaign to maintain security for our Nation since that fateful day. Today, we also remember the families and friends of the lost and wounded, who bear the heaviest burden, whose loneliness we seek to ease, and whose sacrifice we hold in the highest regard. 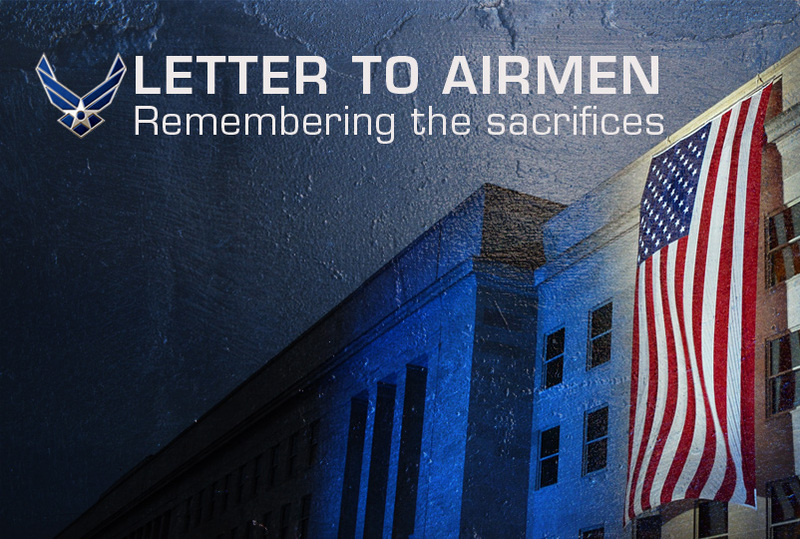 I used to be proud to be an airman, but after 23 years of combined enlisted and commissioned service I am ready to call it quits due to disappointment in the Air Force Reserve Leadership. I had deployed several times for DS, OIF, OEF, during my last our deployed commander pencil whipped LOE’s to the point the fabrication was illogical and embarassing, and pencil whipped required training. When I reported it to my home commander, she is the deployed locations commander in garrison, she did nothing but tell me I wasnt a team player. I reported it to the IG and she lied about ever knowing about my complaint, despite responding to it. This is the commander of the largest AE unit in the PACNW. Who’s the best, not AES! Poor leadership happens more than we ever wish to admit. I elected to retire as an 0-6 in charge of the largest Mission Support Group in the USAF, because of the unbelievable lack of leadership at “Barksdale”AFB. Time and time again I watched the wing leadership violate trust, regulation and decorum. No one with any rank had the intestinal fortitude to stand up. I could no longer take the activities I saw and filed for retirement and consulted with IG. I was told straight up from the IG General officer that what I saw and endured was unconscionable but there was really no way to prove much of anything short of a “news line” expose. When the base experienced an unauthorized “reception” of nuclear weapons… One wing commander was promoted (and currently directs nuclear enterprise) while the other was removed from command…how’s that for “doing the right thing? Where was the equity?? As the senior leader in charge of mission support not one single nuke investigator ever talked to me or was allowed to. The then Wing/CC spun the story and controlled the outcome to protect himself and had 2 under him fired. What a travesty that the one man totally in charge should have stood up and said…I”m responsible for my base”, but did not. In my 35 years experience (10 as an “E” and 25 as an “O”) I’ve never seen the lack of leadership as the one existing at the time at Barksdale. We’ve now promoted this “leader” to Major General.